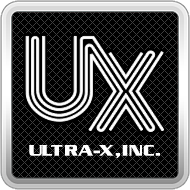 Dashboard - Brief Overview – Ultra-X, Inc.
Dashboard Home is the main home page from which you can view all available modules. View all Managed Customers or get access to the Managed Service Agent installer. Tools and reference links related to performing a Support Service. Reference Links related to performing a Setup Service. The Customer Scan Module performs a quick system inspection/snapshot of the current healty and overall status of the device.